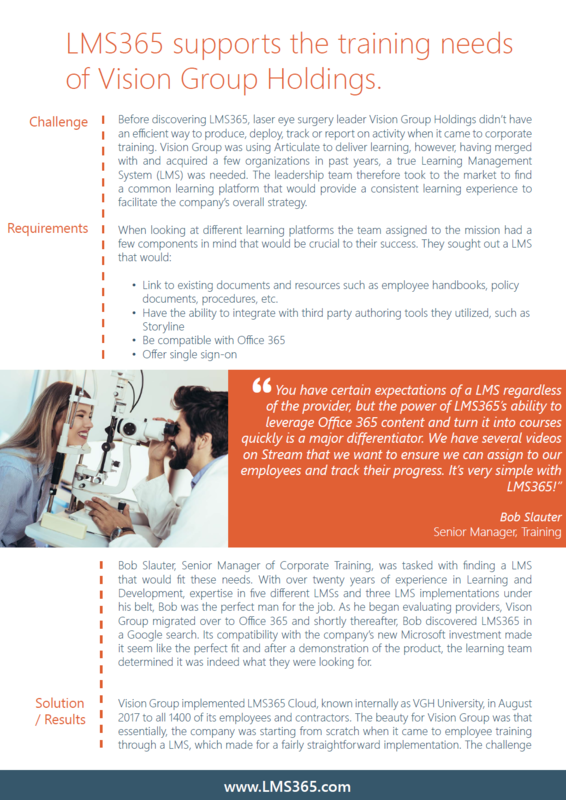 Before implementing LMS365, laser eye surgery leader Vision Group was using Articulate to deliver learning. However, having merged with and acquired a few organizations in past years, a true Learning Management System (LMS) was needed. 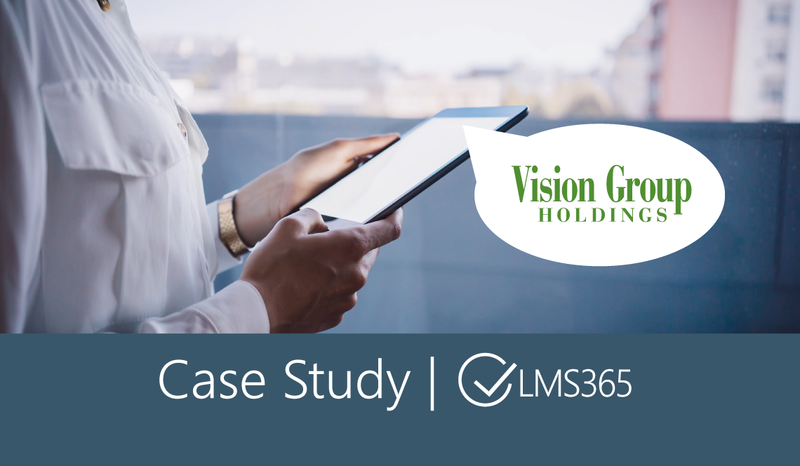 The leadership team turned to LMS365 to act as the common learning platform that would provide a consistent learning experience. VGH University was implemented in 2017 and since then, the learning platform built on Office 365 has changed the way employees approach learning. Training is no longer a one-off event but has become dynamic part of the entire organization. Download the Case Study for the full story.